Thoughts and prayers go out to the friends and family of Phil Paragas. My most recent memory of Phil is at the family golf tournament in Phoenix a couple months ago. He appeared to be in good spirits and really was a champ to make the trip from Omaha to Phoenix to see family and be part of a yearly family tradition. Phil you will be sorely missed, you are in a better place in better hands, the pain you endured in the operations and hospital stays is over. RIP. Phillip Ray Paragas, 70, of Omaha, Neb., died July 27, 2010, in Omaha, Nebraska. SERVICES Saturday 7pm 72nd St. Chapel. 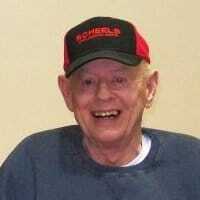 Interment Sunday 3pm Graceland Cemetery, Creston, IA. VISITATION Saturday 3-7pm 72nd St. Chapel. Memorials to Omaha Sports Academy or Omaha Community Playhouse. Services will be 7 p.m. Saturday, July 31, at John A. Gentleman Mortuaries 72nd Street Chapel, Omaha, Neb. Visitation will be 3 to 7 p.m. Saturday at the chapel. Graveside service will be 3 p.m. Sunday at Graceland Cemetery in Creston. Powers Funeral Home, junction of highways 34 and 25, Creston, is in charge of local arrangements. Memorials may be directed to Omaha Sports Academy or Omaha Community Playhouse. Phillip Ray Paragas was born March 18, 1940, in Creston. Phillip is survived by his wife Betsye Paragas; son W. Randall Paragas; daughter Charlotte Paragas; granddaughters, Stephany (husband Brett) Bailes and Kari Zahm; grandson Bradley Paragas; brother Dr. Rodney Paragas of Santa Barbara, Calif.; other family and many close friends. Phillip was preceded in death by his father Dr. Modesto Paragas and mother Carol Evans.